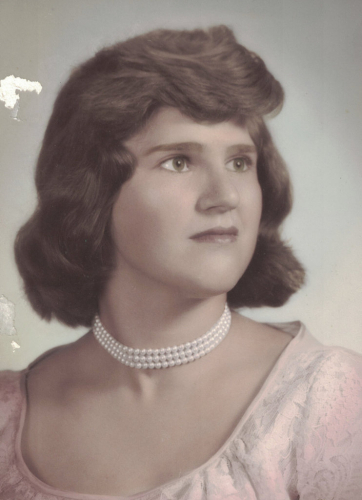 Diana R. Weaver, 74, of Friedensburg, passed away on Jan. 18 at Orwigsburg Center. Born in Pottsville, Jan. 6, 1945, she was a daughter of the late Charles and Beulah Zimmerman Wise. She was the wife of Jack E. Weaver Sr., whom she married Oct. 10, 1964. Diana was a graduate of Pine Grove High School, Class of 1962. She was a member of Auburn Church of God, Auburn. In addition to her parents, Diana is preceded in death by her stepsons, Jack E. Weaver Jr. and Randy Weaver; grandsons, Anthony, Robert Jr. and John D'Agostino; siblings, Marlin, Ernest, Charles, Edna and Raymond Wise, Helen Weaber and Marlene Bohr. Diana is survived by two children, Michael A. Weaver and wife, Karen, of Perry Township, and their son, Tyler Nightlinger, and Debbie D. Weaver, of Schuylkill Haven, and her children, McKellah and Mauriana Deegan; two step-children, Harold W. Weaver and wife, Kathy, of Schuylkill Haven, and their children, Meghan Weaver and Jared Neidig, and Janice J. D'Agostino, widow of Robert, of Minersville, and her children, Michael and wife, Michelle, and daughter, Victoria, of Minersville, Thomas D'Agostino and wife, Michelle, of Minersville, and Christine Fritz and husband, Christopher, of Schuylkill Haven; additional grandchildren, Randy Weaver Jr., Michelle and Kim Weaver, and Tiffany Huff. Diana is also survived by two sisters, Ethel Hobe, widow of John, of California, and Barbara Wise, of Pine Grove; and a brother, John Wise, widower of Mary, of Pine Grove. Memorial service and interment details will be announced upon completion of arrangements. The family requests donations in Diana's memory to American Cancer Society , P.O. Box 22478, Oklahoma City, OK 73123.